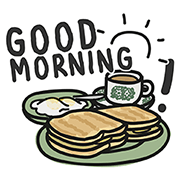 http://www.line-stickers.com/ – Kumo Line Sticker | Doodles that are simply Singaporean! Chat away with our everyday favorite expressions. Available till December 28, 2016.